“arcognizance.com” has added latest research report on “Global Mini WiFi Wireless Camera Market”, this report helps to analyze top manufacturers, regions, revenue, price, and also covers Industry sales channel, distributors, traders, dealers, Research Findings and Conclusion, appendix and data source. 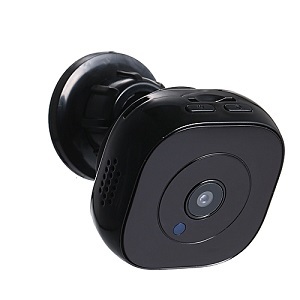 Manhattan, United States - April 16, 2019 /MarketersMedia/ — Mini WiFi Wireless Camera refers to the small size camera which have WIFI module and can link with smartphone or tablet to monitor the home security or car security. It is also used in the consumer grade Drone and some toy. The report focuses on the Mini Wi-Fi Wireless Camera products which major include the sport camera and car cam (car driving recorder with WIFI module) and some other products. The sport camera industry had an explosive growth in recent years. Since 2009, the market-penetration rate of sport camera is enlarging, and sport camera is gradually replacing other digital cameras. With the improvement of road safety awareness, the car camera also has a huge development in recent years. The largest threat to the action camera brand of United States currently is the Original Equipment Manufacture from Asia. They may elect to manufacture their own products that are similar to original brand. It will increase the additional competition from these companies, principally located in or originating from the Asia Pacific regions, which offer very low cost products, including products modeled on, direct copies of, or counterfeits products. It will cause market pricing pressure, customer dissatisfaction and harm to reputation and brand name. The worldwide market for Mini Wi-Fi Wireless Camera is expected to grow at a CAGR of roughly 8.8% over the next five years, will reach 12700 million US$ in 2024, from 7670 million US$ in 2019, according to a new study. This report focuses on the Mini Wi-Fi Wireless Camera in global market, especially in North America, Europe and Asia-Pacific, South America, Middle East and Africa. This report categorizes the market based on manufacturers, regions, type and application. At company level, this Mini WiFi Wireless Camera report focuses on the production capacity, ex-factory price, and revenue and market share for each manufacturer covered in this report. Besides, the report also covers segment data, including: type segment, Mini WiFi Wireless Camera industry segment, channel segment etc. cover different segment market size, both volume and value. Also cover different industries clients’ information, which is very important for the manufacturers. Chapter 1, to describe Mini WiFi Wireless Camera product scope, market overview, market opportunities, market driving force and market risks. Chapter 2, to profile the top manufacturers of Mini WiFi Wireless Camera, with price, sales, revenue and global market share of Mini WiFi Wireless Camera in 2017 and 2018. Chapter 3, the Mini WiFi Wireless Camera competitive situation, sales, revenue and global market share of top manufacturers are analyzed emphatically by landscape contrast. Chapter 4, the Mini WiFi Wireless Camera breakdown data are shown at the regional level, to show the sales, revenue and growth by regions, from 2014 to 2019. Chapter 12, Mini WiFi Wireless Camera market forecast, by regions, type and application, with sales and revenue, from 2019 to 2024. Chapter 13, 14 and 15, to describe Mini WiFi Wireless Camera sales channel, distributors, customers, research findings and conclusion, appendix and data source.